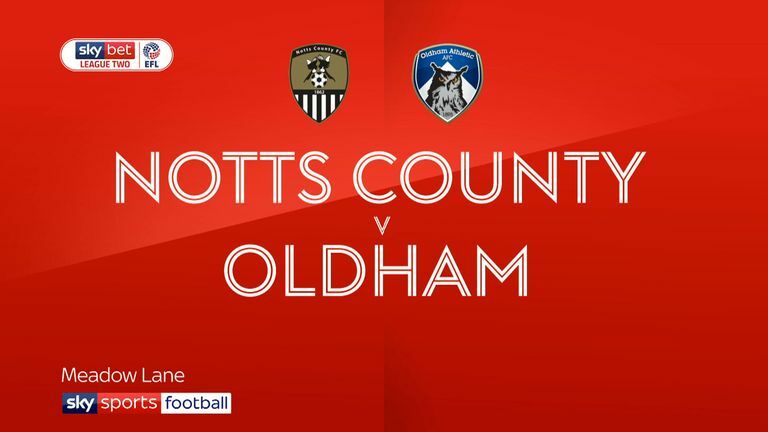 Highlights of the Sky Bet League Two game between Notts County and Oldham. 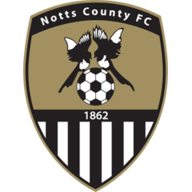 An inspired Ross Fitzsimons kept Oldham at bay as Notts County held onto a valuable point with a goalless draw at Meadow Lane. Ishmael Miller went close to scoring his third goal in as many games early in the first period, with the former Manchester City youngster drawing a fine save from Magpies goalkeeper Fitzsimons. Just past the half-hour mark, the Latics threatened twice in quick succession. Andy Taylor saw his header from a Gevaro Nepomuceno corner cleared off the line by Jamie Turley and then the visitors recycled the ball and Nepomuceno crossed for Peter Clarke, whose attempt was superbly saved by Fitzsimons. 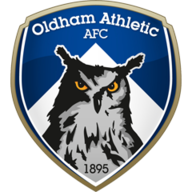 Callum Lang headed just wide from another delivery from Curacao international winger Nepomuceno before the Magpies went close when Enzio Boldewijn latched on to a long ball from Fitzsimons, but Oldham goalkeeper Daniel Iversen kept out both his effort and Nathan Thomas' follow-up. At the other end, Fitzsimons saved from Dan Gardner, while County almost nicked it in added time but Boldewijn prodded an instinctive shot against a post.